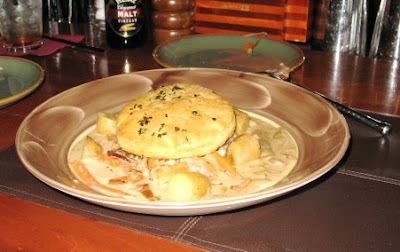 Seafood lovers who want to cook some oyster recipe can try our tried and tested Oyster Pie recipe. This easy to make and delicious recipe won’t fail to satiate your tasting buds. Call it a seafood desert or a main course dish, Oyster Pie is one of the easiest oyster recipes that you can cook at home. · Take a lightly buttered pie plate and spread 1 cup of oyster cracker crumbs. · Now, sprinkle 1-cup pf oysters evenly over the crumb layer and then sprinkle salt and pepper. · Repeat the layers of crackers and oysters thrice with seasoning after each oyster layer. · Mix 1/ 2 cup oyster liquor and 1/ 2-cup heavy cream and pour it over the top layers of oysters. Spread some butter in dot form. · Preheat the oven at 400 degree and let the pie to set for 10 minutes before placing it on the top rack. Bake for 15 minutes or until the top is little brown. · Increase the temperature to 550 degree and let it bake for 4 minutes or until the top is well browned. Before you buy anything compare prices, find the lowest prices, and print free online coupons for your favorite stores.